Gosford Regional Gallery is worth visiting no matter if you’re interested in art or not. The exhibitions, together with the other attractions in and around the complex, make for a relaxing day out with the kids and family. 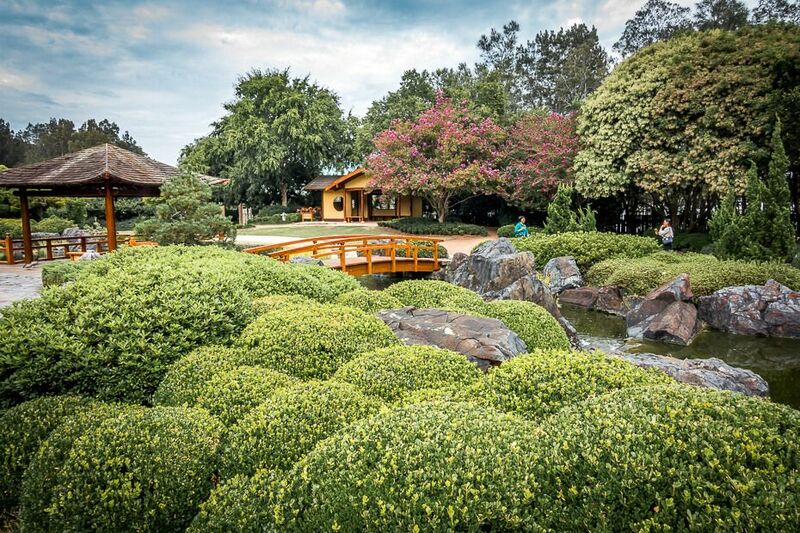 The Japanese garden with the koi fish is just as enjoyable as the exhibitions. Gosford Regional Gallery displays works from established and emerging artists in photography, sculpture, visual art and design. They host local, national and international exhibitions. 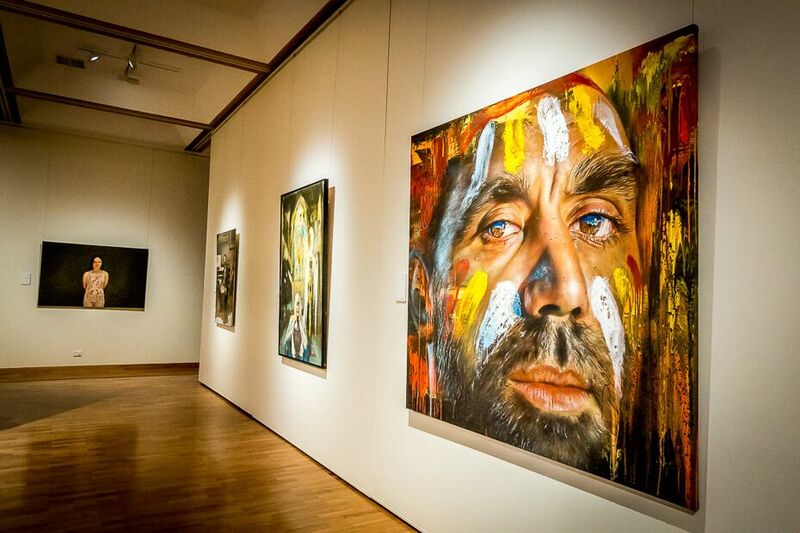 Every year they display the Gosford Art Prize, which helps uncover local artists, and the Reconciliation Art Competition. 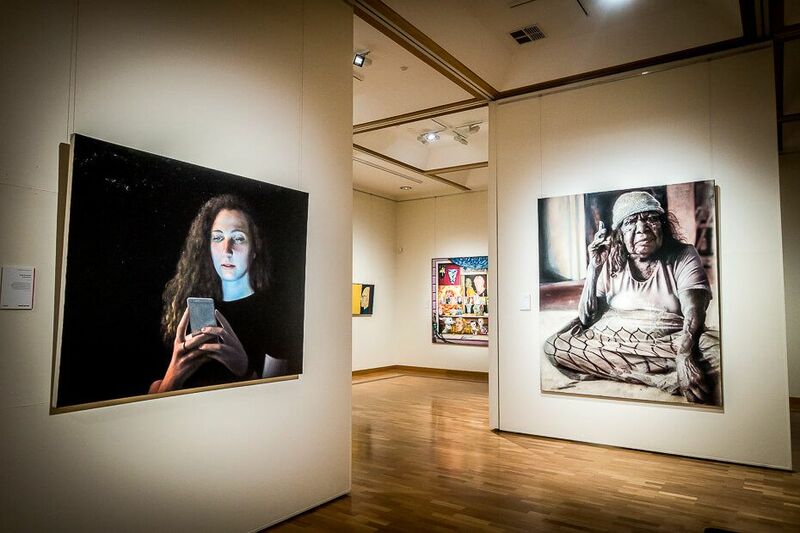 And every other year the Emerging Art Prize for young artists aged 18-30. The Foyer Gallery exhibits arts from artists from the Central Coast. Gosford Regional Gallery also organises art activities for kids during the school holidays. It may be worth having a look at the timetable of activities on their website. The exhibitions change every time we visit. Last time we caught the top thirty portraits created for the Doug Moran National Portrait Prize. The showroom is only small so it takes a few minutes to go around. Or more if you are very interested in what you see and like taking your time. 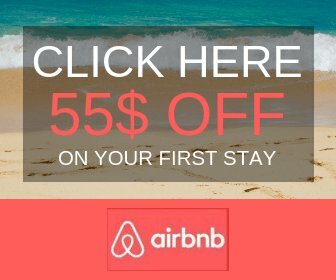 Visiting is free. Then visit Edogawa Commemorative Garden. 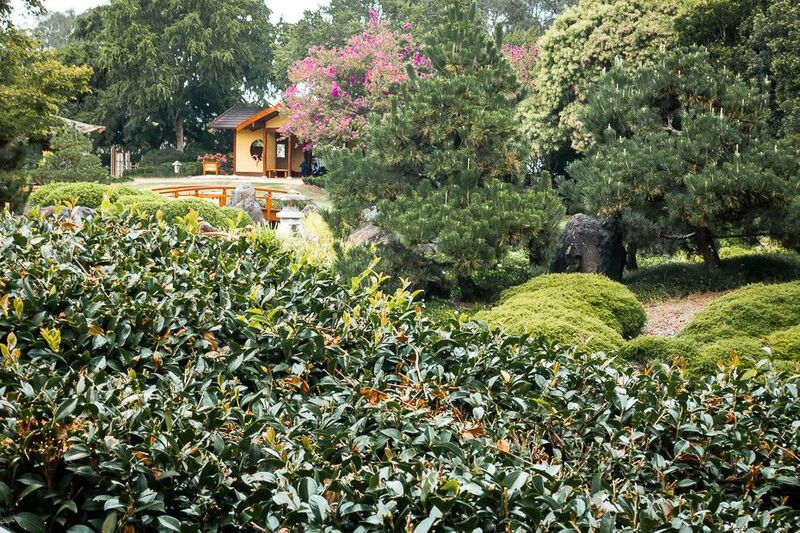 The garden was a gift from Edogawa in Japan (Gosford formed a Sister City Agreement with Edogawa in 1988) and was created in accordance to the Japanese Heian period. 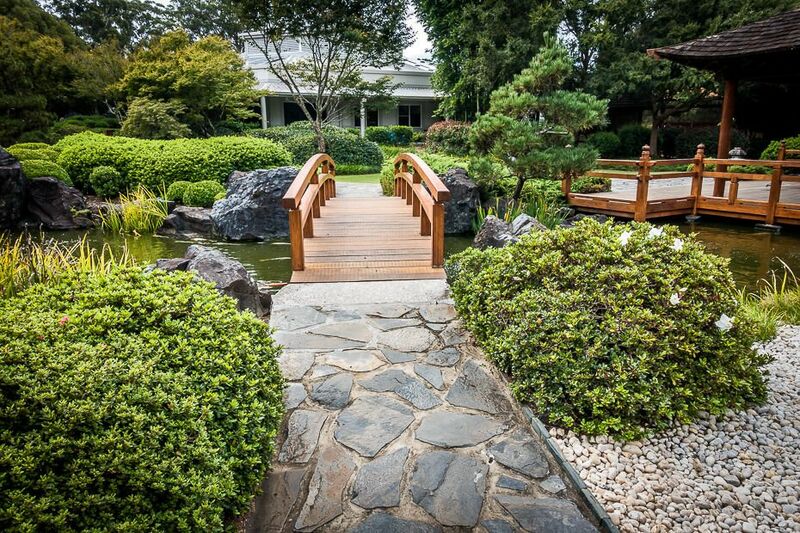 It’s lovely walking through the Japanese garden. 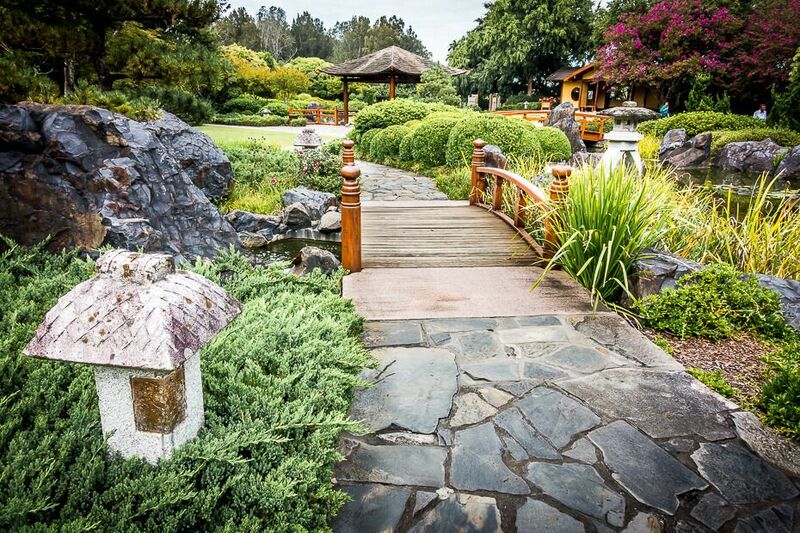 The pathways meander along a Japanese teahouse, a stone garden, stone lanterns and a pond with several fat koi fish. 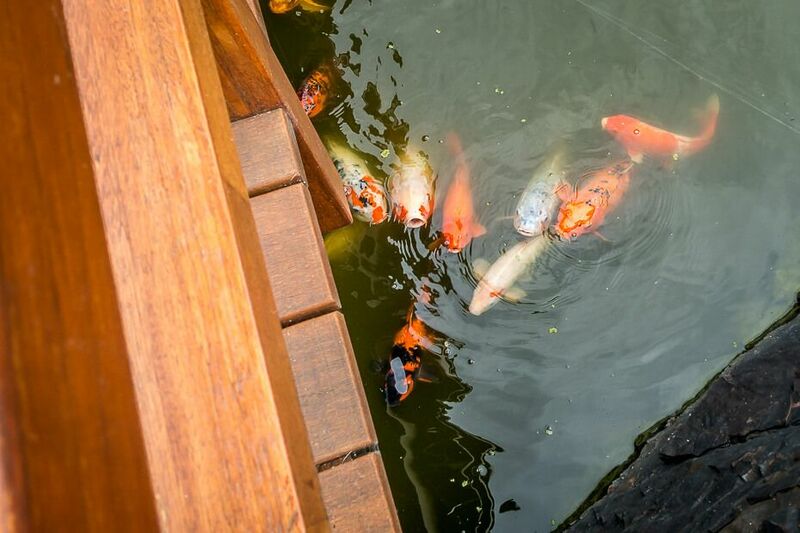 Our kids’ favourite activity is to feed the koi fish. Buy a bag of food at reception for $1. Then have a look at the beautiful gallery shop. The cards are gorgeous… consider buying a couple as birthday cards or for other occasions. The gallery shop also sells books, jewellery, ceramics and interesting toys. Metres from the complex is Elizabeth Ross Park, a manicured park with a playground, and the Friendship Walk, a boardwalk along Caroline Bay. Enjoy these before or after visiting the gallery. We like going to the park before entering the gallery so the kids can run their energy out. 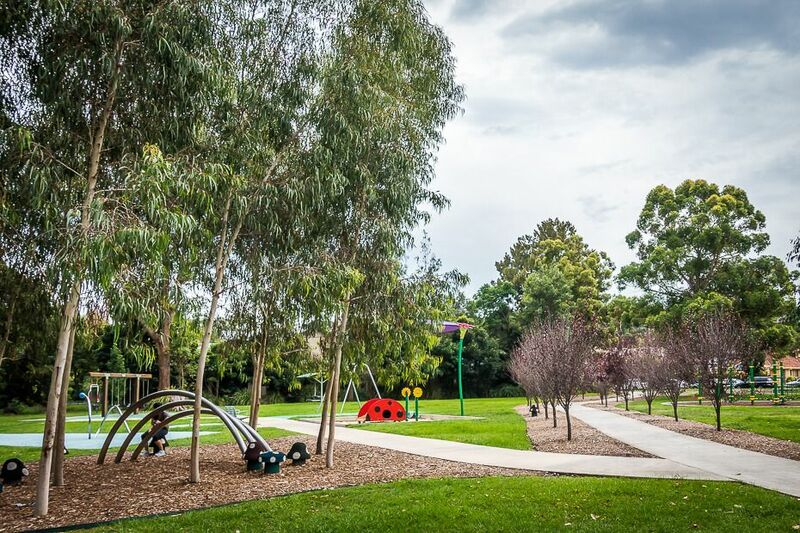 It’s a perfect place for a picnic as it sits in a tranquil surrounding and kids can play. There’s a climbing net and equipment, swings, and flying fox. 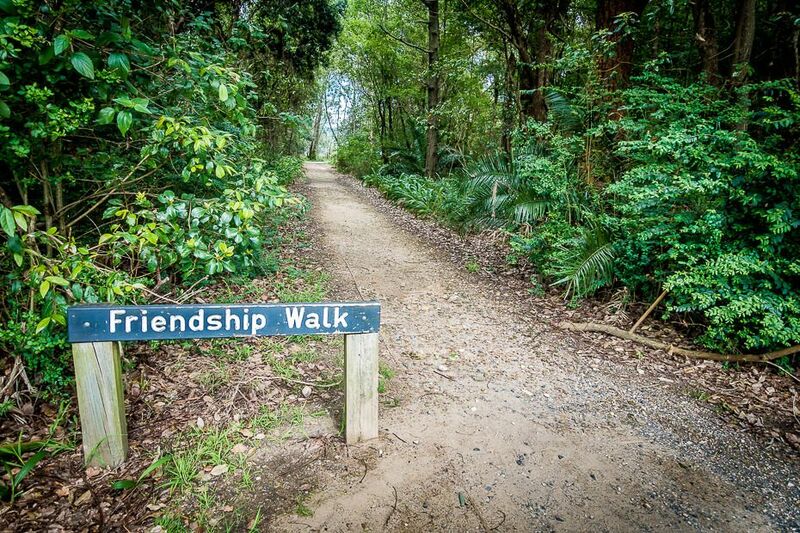 And if you feel like going for a stroll, you’ll see pathways leading to the Friendship Walk from the carpark and the playground. You can wander on the boardwalk along Caroline Bay for a couple of kilometres. 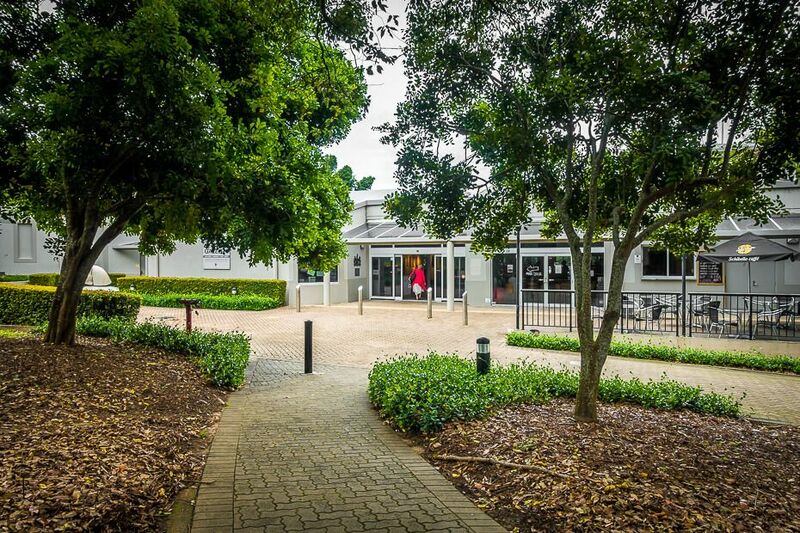 Gosford Regional Gallery is a great place to hang out for a few hours if you feel like relaxing. And it’s all free. Price: Free to visit but consider giving a donation. What's on: Check out the current exhibitions here. Location: 36 Webb St, East Gosford. Parking is free.